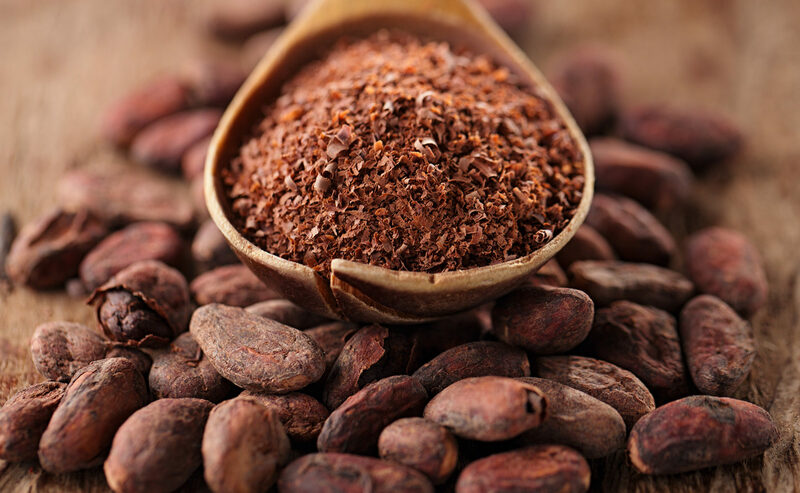 In the bid to revive the cocoa Industry in the country, the Afreximbank and the International Cocoa Organization (ICCO) have met with the Bank of Agriculture (BOA) and the Nigerian Export-Import Bank (NEXIM) to discuss possible ways of intervention and development of the Cocoa Industry in Nigeria. A team of Afreximbank, led by the Regional Head of Project Finance Mr Kofi Adumaku, and Mr A.S Kurama of the Bank of Agriculture recently parleyed with the Ag MD/CEO of NEXIM Bank, Mr. Bashir Wali, who gave a brief overview of the activities of NEXIM Bank and expressed great delight in this initiative organised by Afreximbank, the Federal Government of Nigeria and the International Cocoa Organization towards reviving the cocoa industry in Nigeria. Wali, explained that NEXIM Bank as an export credit institution charged with the mandate to promote export diversification of the non-oil sector had in the past supported the cocoa value chain by funding major cocoa processing plants such as Ile –Oluji, Multi –Trex and Stan Mark under the ADB/ESL facility. He noted that the story of the cocoa industry, especially as it relates to processing, in Nigeria cannot be told without the mention of NEXIM Bank. In his response, Adumaku, indicated that Nigeria has been the sleeping giant in the Industry, having lost its former enviable position of being the largest producer of cocoa in the world, to the 4th largest producer after Ivory Coast, Ghana and Indonesia. He informed the NEXIM Bank that that a decision has been reached by the Federal Government in collaboration with all relevant stakeholders in the industry to come up with a five-year strategic plan towards the revamping and sustained development of the cocoa industry in Nigeria. According to him, ‘’there is a need to begin to support projects in the sector to make them viable again.” He further stated that even though funding and cost of funding were major issues in the industry, relevant development financial institutions such as NEXIM Bank, AfreximBank, Bank of Agriculture and the Bank of Industry should team up towards providing the relevant support needed to develop the industry. The NEXIM Bank boss thanked the visiting team stating that there was a need for cooperation and input from all the stakeholders and synergy between the financial institutions to achieve any meaningful development in the Cocoa industry. He reiterated the Bank’s commitment to promoting export-oriented investments in the non-oil sectors of the Nigerian economy. Wali expressed the commitment of the NEXIM Bank to provide funding interventions especially to entrepreneurs involved in cocoa processing; and urged major players and stakeholders in the industry to avail themselves of the single digit interest under the N500 billion Export Stimulation Facility (ESF) provided by the Central Bank of Nigeria which is being managed by the Bank. About NEXIM Bank was established by Act 38 of 1991 as an Export Credit Agency with the broad mandate of promoting the diversification of the Nigerian economy and deepening the external sector, particularly the non-oil export sector through the provision of credit facilities in both local and foreign currencies; risk-bearing facilities through export credit guarantee & export credit insurance as well as business development and financial advisory services.